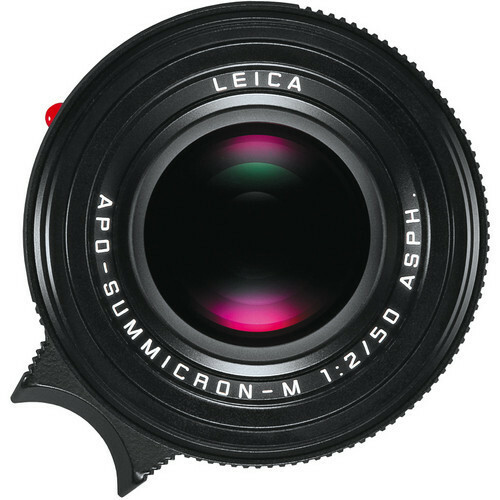 Pairing the classic normal focal length with an optically refined design, the APO-Summicron-M 50mm f/2 ASPH. 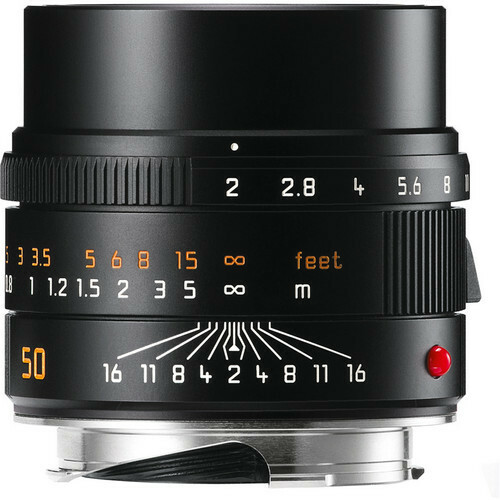 Lens from Leica is a fast standard prime characterized by its apochromatic designation. 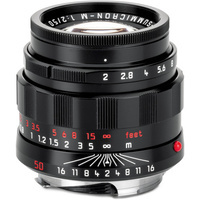 Using anomalous partial dispersion and high refractive index glasses in its design, this lens is capable of focusing red, green, and blue wavelengths at the same plane in order to virtually eliminate chromatic aberrations. 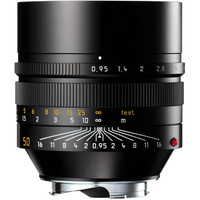 One aspherical element is also featured in the design, to reduce spherical aberrations, and a floating element maintains clarity and sharpness throughout the focusing range from 2.3' to infinity. 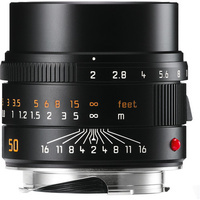 This compact 50mm lens is also distinguished by its compact form factor, making it ideal for use as an everyday lens. 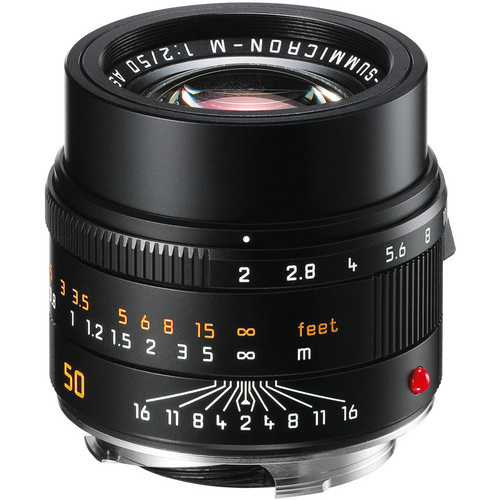 Like all M-mount lenses, this 50mm f/2 features a manual focus design, and a convenient focusing tab for more refined control during use. 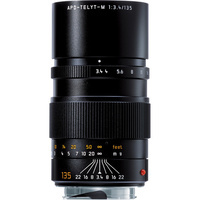 Apochromatic design employs three elements made from anomalous partial color dispersion glass, as well as two high refractive index elements, in order to suppress chromatic aberrations throughout the aperture range for increased color accuracy and clarity. 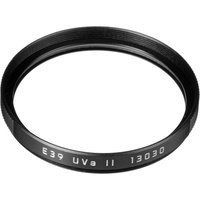 One aspherical element reduces spherical aberrations for improved sharpness from edge to edge. 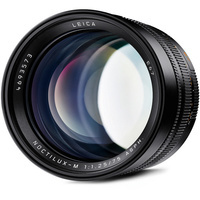 A floating element is used to maintain clarity and sharpness throughout the focusing range, from 2.3' to infinity. 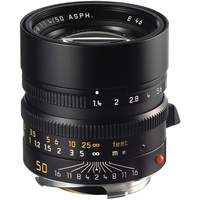 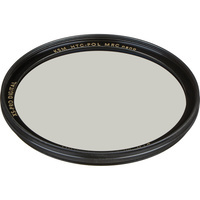 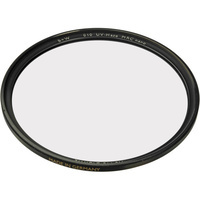 In addition to the apochromatic designation, this lens also pairs a Gaussian type optical construction in front of the aperture along with a design resembling the Summilux-M 50mm f/1.4 behind the aperture, in order to significantly reduce distortion while also increasing overall sharpness and consistent illumination. 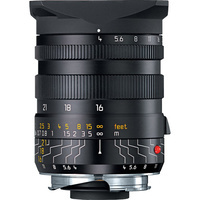 Compact overall design is ideal for use in everyday shooting situations. 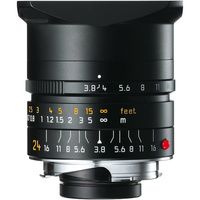 Manual focus design provides a minimum focusing distance of 2.3' with a maximum magnification ratio of 1:11.3. 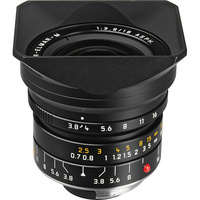 Box Dimensions (LxWxH) 11.5 x 7.5 x 6.25"